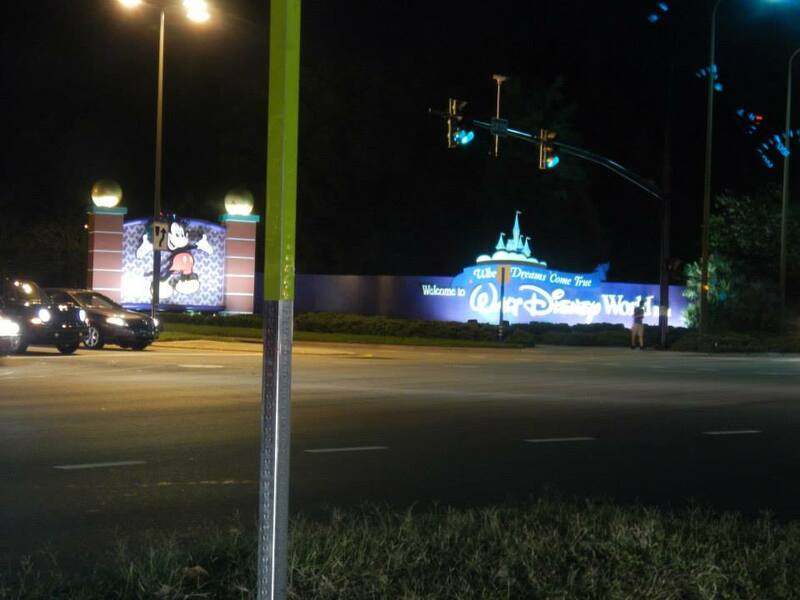 We left Georgia in the afternoon on Friday, arriving in Orlando after 10PM. 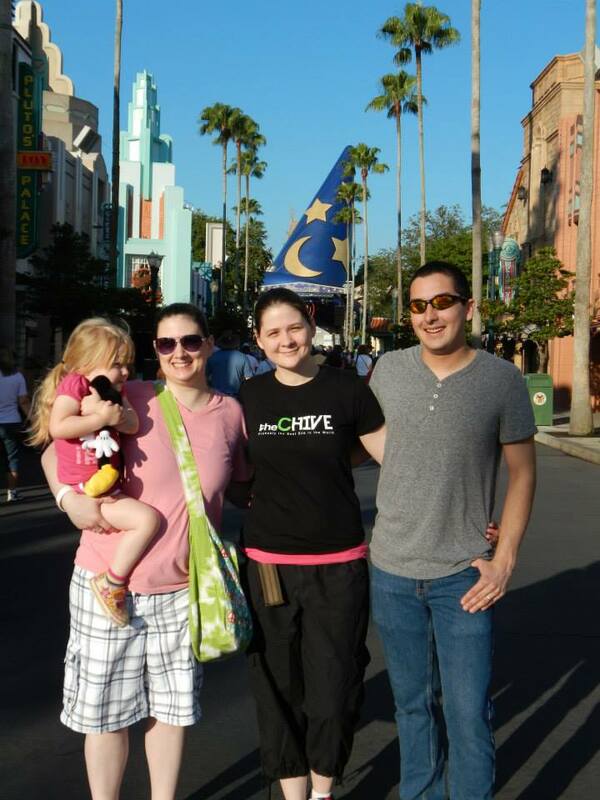 We got up early the following morning and made our way to Disney’s Hollywood Studios. As soon as we made our way onto the main road, there were plenty of signs showing us which way to go.It cost $14 to park at each park every day. Though if you decide to visit more than one park on the same day you don’t have to pay an extra $14 to park, just show your paid parking ticket once you reach the parking booth. Once we got into Hollywood Studios, we decided to find a place to eat breakfast. Only one place was found and wasn’t too far of a walk. The only problem is that it cost $24 a plate. The good thing is that my daughter can eat off of my plate. They had some characters singing and dancing. I didn’t know and of them, but my daughter seemed to love it. One girl is from Little Einstein’s, though I didn’t learn that until much later. She has a Dora likeness to her which my daughter had picked up on and began to shout ‘Dora, Dora’. I thought it was cute and wasn’t going to burst her bubble by telling her it wasn’t her favorite cartoon character. My sister and brother-in-law decided to part my company and find things for them to do. I started to walk, walk, and walk some more, looking for something to keep my three year old occupied. I found the Muppet’s studio and thought that since I loved them growing up that maybe my daughter would too. It was a a cute Muppet movie in 3D, though my daughter didn’t want to wear the 3D glasses. Then some of the characters began to interact with the audience, which she had a hard time keeping up with. When the visual effects started she began to get a little spooked. There was a cannon that supposedly fired at the screen which caused the theater to “catch fire”. When that happened the fog machine started sending fog out into the audience, my daughter immediately started to whimper and jumped into my lap. As soon as the show was over I thought against taking her to another show. The only thing about it was that Hollywood Studios was mostly all shows. Over an hour had passed and she was getting cranky. I knew she was bored and hot. It was also getting crowded due to the Star Wars theme throughout the park. 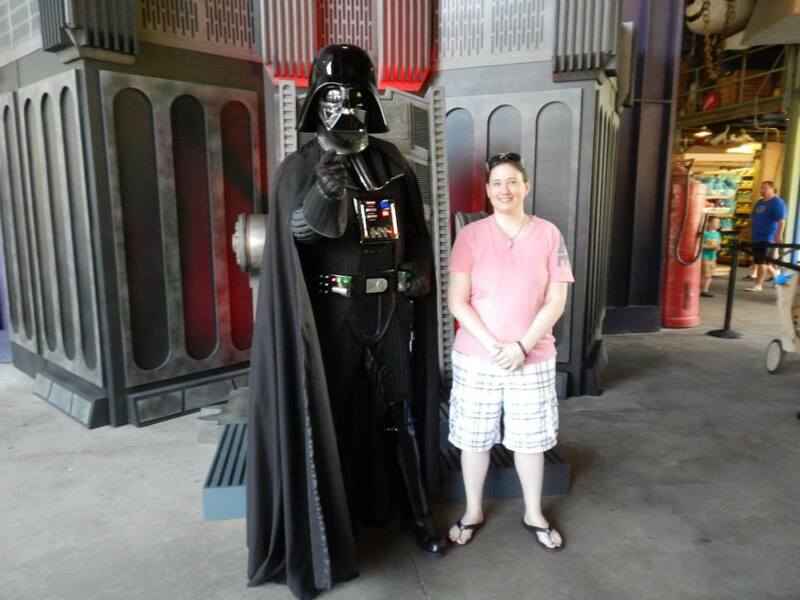 There was Jedi Training, a Star Wars themed ride, and several Star Wars Characters throughout the park, to which I found Darth Vader and got my picture taken with him. My daughter and I met up with my sister and brother-in-law to go watch the stunt show. 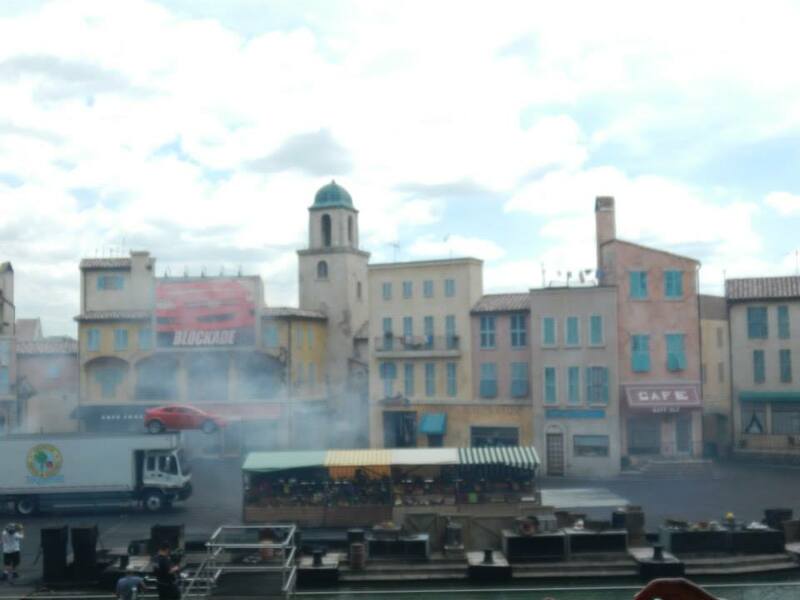 If you ever decide to visit Hollywood Studios make sure you watch the stunt show! I loved it. There are a few cars chasing one car around a nice sized studio lot and all the while a camera crew is filming the chase scene. After the chase scene is over they play the video. It’s neat to see how they filmed the scene with only the cars in the shot. After the show I decided to take my daughter back to the hotel room and let my sister and brother-in-law enjoy the rest of the day. I picked up McD’s on the way back. After eating it didn’t take my daughter long to fall asleep. I, too, took a nap, which felt good to get some rest. I’ll post Disney Day Two tomorrow. This entry was posted in Blog, Disney World 2013, My daughter and tagged children, Darth Vader, Disney Hollywood Studios, Disney World, family, Florida, Little Einstein's, parents, single mom, Star Wars on May 30, 2013 by JenniferNAdams.